Under fire, under pressure and under paid? 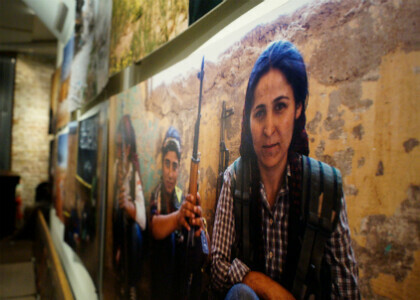 A new exhibition attempts to give a glimpse into the turbulent world of freelance conflict journalism. 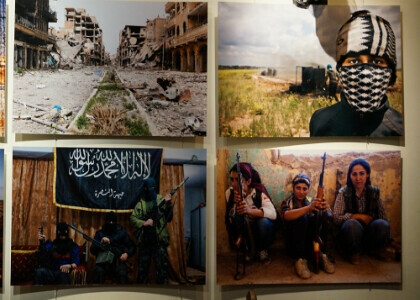 "We want to educate people, when you walk into the exhibition, you’ll walk into an essence of freelancing"
The War Zone Freelance team are no strangers to conflict. 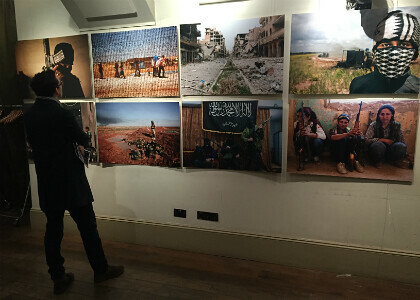 The four freelance journalists, from various parts of the world, have set up a new touring exhibition to shed their own light on those torn apart by strife in countries like Iraq, Syria and Lebanon - and on the freelancers who report on it. So why now and why the Middle East? American Osie Greenway and Anne Alling from Denmark explain that it is a "developing project" and that the timing was right: "We have all worked together to cover [the region] over the past few years and really felt like… there was an enormous amount of material that we haven’t shown. And the issue of freelancing is such a big issue today." 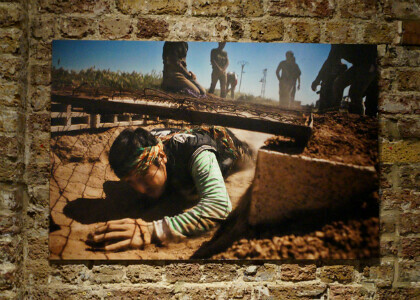 Both self-financed and crowdfunded, a sample of the exhibition was launched at the Frontline Club in London. 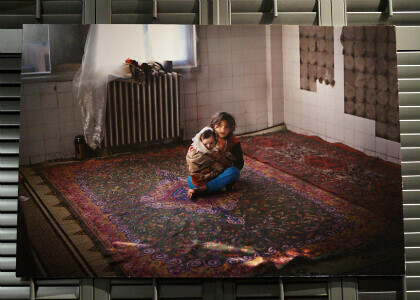 The team will take the full one to Berlin, Germany, from March 17th to April 15th 2016 at the Sprechsaal Gallery. 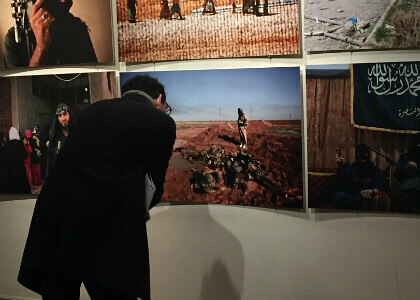 They then aim to tour across other major cities in Europe, showcasing a bigger collection of their own work - as well as that of their colleagues and fixers - while spotlighting the stories behind them. Various objects of significance will also be on display, such as journalistic equipment, battle flags and other items from countries the four have covered - they say the whole concept rests on immersing visitors into their reporting process. 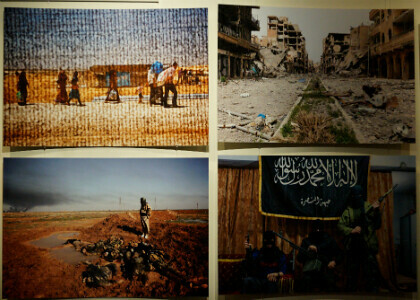 While the theme remains the Middle East for now, Osie says they have plans to cover Africa, East Asia and beyond – all visitors will have a first-hand look at various conflicts through the eyes of freelancers. "Westerners get a lot of attention, rightly so, but what about the locals?" One key part of the War Zone Freelance project is its planned interactive memorial to those killed or missing while on assignment. 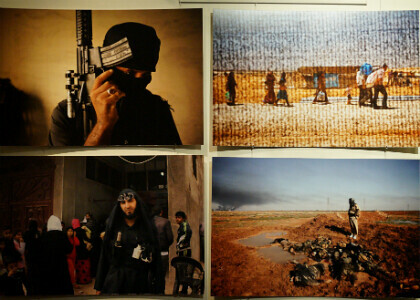 It will specifically focus on Molhelm Barakat, a young, local photographer, who was killed in 2013 while covering a battle in Aleppo, Syria. He was only 18 when he died: "We wanted to choose a specific fixer and his name came up due to his situation of being so young," says Osie. "... We reached out to his family and asked if we could share his work [and] a piece of his story... and their response was incredible." The exhibition will display a selection of his images and even include the cameras Molhem was working with on the day he died. 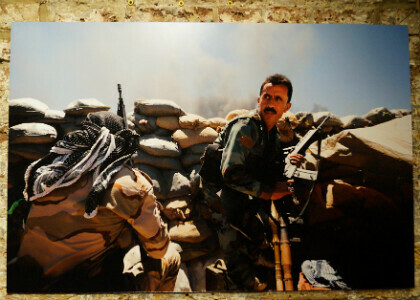 "Journalism was his whole life, it was his message to present real and honest photos," Molhem’s mother told the team. 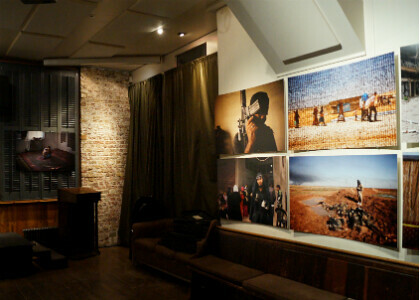 During one panel discussion at the Frontline Club, which accompanied the exhibition's launch, the team argued that the vital but dangerous work of local journalists is often forgotten: "We leave, they stay behind, and often they have to take up the consequences of that," said Benjamin Hiller, War Zone Freelance team member and previous Rory Peck Trust beneficiary. Although it wasn't the exhibition's main focus, the issue of a fair wage for freelancers provoked heated discussion during the panel debates. 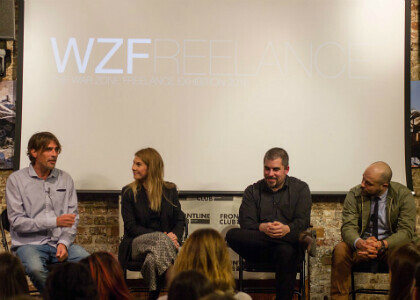 Jeffry Reuigendijk, another WZF team member, had highlighted the difficulties of collecting payment for his work while James Brabazon, a freelance filmmaker and a Rory Peck Trustee, said the industry needs to kick against the culture of letting freelancers give away work for free or for less than it is worth. He later added that the most pressing, and depressing, issues facing freelance journalists haven't changed and called for renewed emphasis on training that helps them to prepare to behave in a way that was "responsible... sustainable... productive, and safe." So what do the War Zone Freelance team ultimately want to achieve with this project? Freelance journalism is by no means an emerging profession nor are their aims "trailblazing", insists Osie. They simply want to give more answers to an old question: what does it really take to report from a war zone? 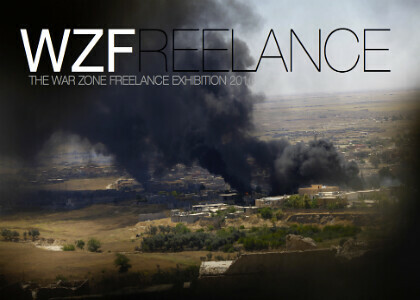 For more information on the War Zone Freelance exhibition, visit their website.